When I see a compelling recipe, I tend to make some version of it as soon as I can (hence the tagline of this blog). The very next day day after seeing this pistachio pesto at 5 and Spice, I was happily blending up some aromatic green sauce of my own. Sadly, it had been more than a year since I had made pesto at home. I haven’t planted basil in a garden since 2011, and being the main herb-lover in the house, buying basil leaves for pesto is ridiculously expensive. Ready-made pesto is always loaded with cheese, which rules out even that inferior option. So I have waited. In contrast to fresh basil, however, cilantro is not nearly so pricey. I found a good looking bunch this week and brought it home. The freshness clock was ticking; the cilantro simply had to be put to good use. 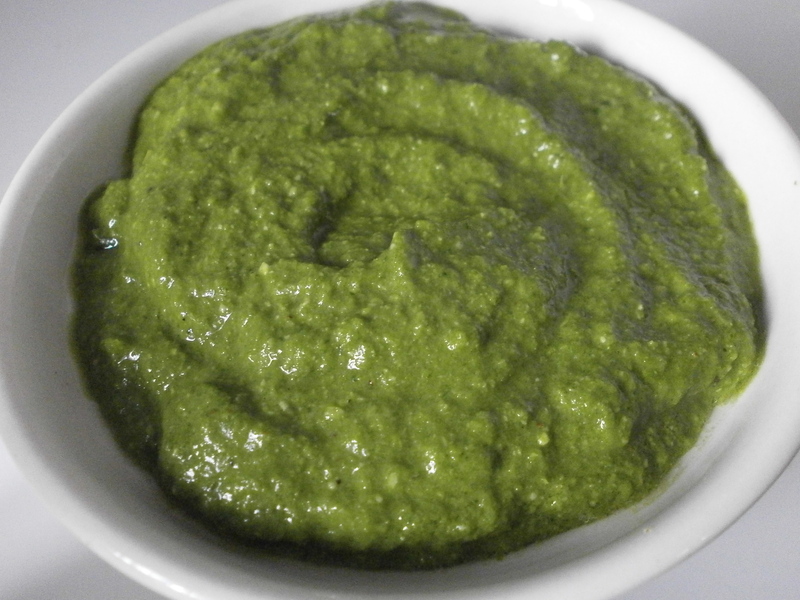 Today I am sharing one of several great uses for this cilantro pesto. More pesto-liciousness will be appearing here tomorrow, just in time for a weekend cooking spree. Add cilantro, parsley, olive oil, and nuts to blender or food processor. Pulse, pause, and scrape sides down. Repeat until the sauce is evenly blended. Add lemon juice and sea salt to taste. 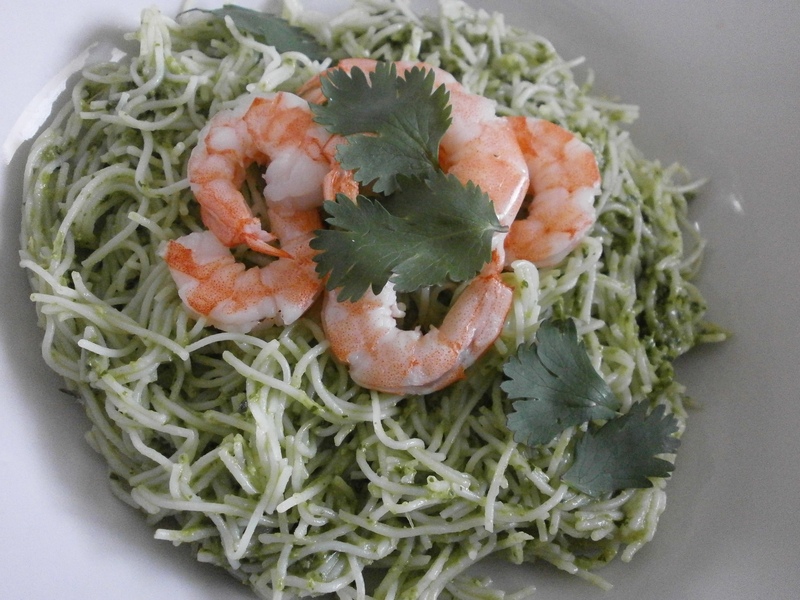 Toss warm noodles with cilantro pesto sauce. Season with sea salt to taste. Top with cooked shrimp, nuts, or cooked vegetables. Find more delicious recipes at Gluten Free Fridays. This looks fantastic! I have all the ingredients and plan on trying it out tomorrow. Thanks! I’ve never had cilantro pesto but I like pesto in general but hate the cost of basil in my store, so maybe I will have to try this! Thanks for linking up to Saturday Dishes! Hope to see you next week! Yes, basil can be so expensive! But I love pesto, so cilantro it is until I can grow a garden! This looks and sounds delicious! And how serendipitous, I’ve already got the ingredients on hand to make it this weekend, without even going to the store! I love it when that happens. The same is true for me with your mango chicken salad! Pingback: Vegan Homemade Crackers - From Lentils!